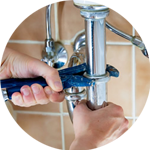 If you are looking for a plumber in West Hampstead, you’re in the right place! 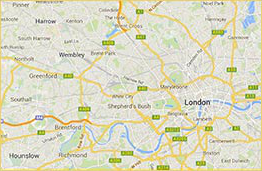 The Handy Squad is able to assist you with any plumbing needs you might have in any part of London. 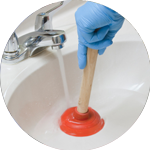 Since 2005, our highly skilled team have been assisting Londoners with a wide variety of plumbing tasks such as; repairing leaking taps and installing white good appliances. We are experts at what we do, so you know you can count on us! 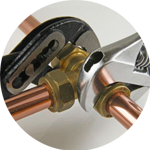 Why not give your local West Hampstead plumber a call? West Hampstead is part of the London Borough of Camden and was originally known as West End until the end of the 18th century. When the area’s train station was built on the West End Lane it was named West Hampstead to avoid confusion with the West End in Central London. This residential area is dominated by its high street, filled with boutiques, restaurants and cafés. The architecture within the area has a mixture of styles. It has Victorian red brick houses, mansion blocks and several properties which have Art Deco influences. 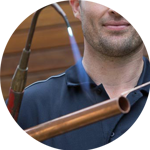 Rest assured, if you are located in West Hampstead or any of its neighbourhood areas, such as Hampstead, Swiss Cottage and Kilburn – our professional team of plumbers will be ready to resolve any potential plumbing issues you may have. Our London based plumbing team specialises in repairing radiators, unblocking waste disposals, replacing dishwashers, installing new taps and much more. If you are looking for other handyman services, our Handyman London team offers office maintenance and repairs, odd jobs, tiling and much more.